Also known as audible track warning signals, detonators or audible track warning devices, railway track signals (RTS) are used to attract the attention of train crews when track repairs or an obstruction are ahead. The number of railway track signal explosions indicates what drivers are required to do. Naturally, explosions are Howard & Sons’ department. We consider it a privilege to provide a life-saving device for the huge national railway line system of Australia. 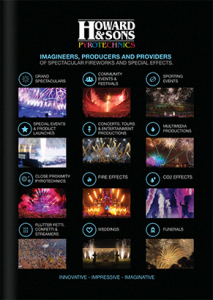 RTS are linked to a huge number of legal requirements, all of which Howard & Sons Pyrotechnics’ trained and certified technicians fulfil with the utmost care and attention to detail. However, RTS manufacturer is not our only role. Our name has contributed to the safety classification of railway track signals, too. This type of manufacture might seem a strange choice for a fireworks company which specialises in spectacular pyrotechnic events, but for this particular branch of the transport system we play a vital role. Thanks to Howard & Sons Pyrotechnics, railway track signals are classified as a Class 1.4S explosive; however, this lower classification only applies if the signals are supplied, stored and handled in original Howard & Sons Pyrotechnics packaging. Our branding therefore stands for product reliability and product safety. Please feel free to contact our RTS and fireworks manufacturing facility direct for further information. Our experienced technicians will be able to answer your questions relating to the manufacture of RTS or our products. For RTS guidelines, please visit the Australian Explosives Industry and Safety Group (AEISG) website.